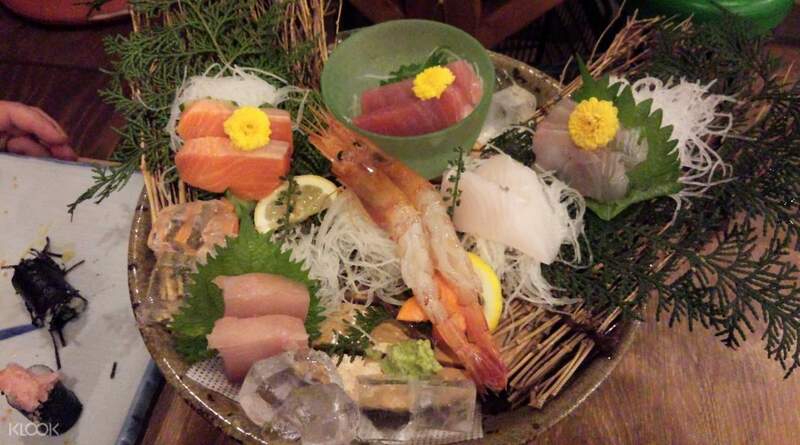 Dine in Isomaru Suisan Bar in Osaka, for a taste of delicious and fresh seafood! Book through Klook and get an exclusive reservation service for a hassle-free dining experience! 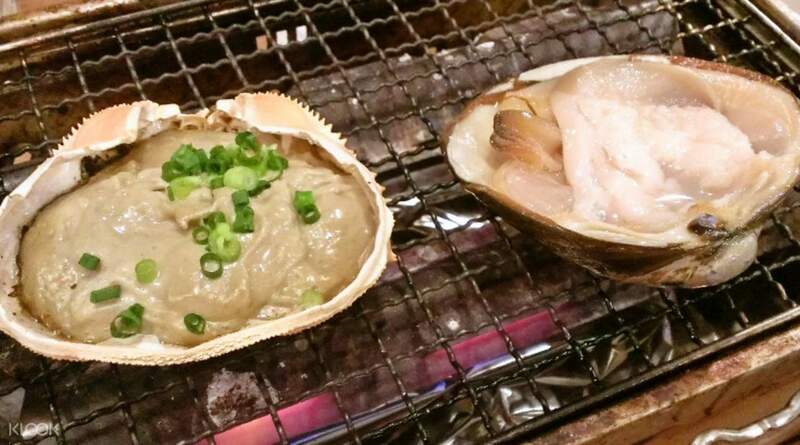 Make a stop at Isomaru Suisan Bar in Osaka, a 24/7 seafood restaurant, and savor the taste of seafood fresh from the sea! 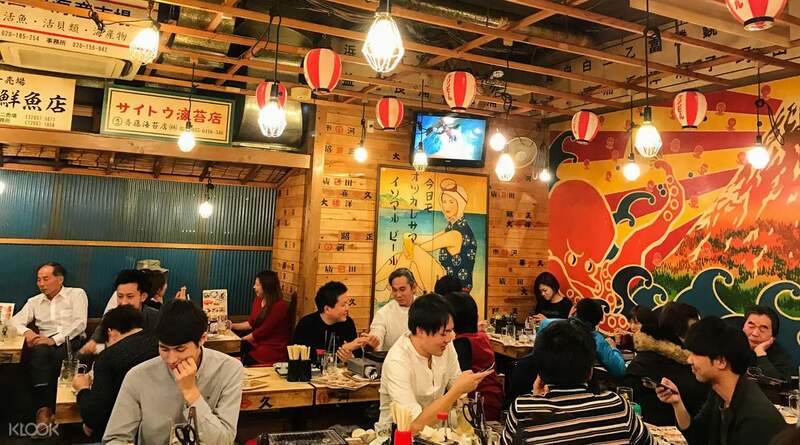 Admire the restaurant's whimsical and vibrant interior, patterned after Japanese beachfront houses in the summer, which features paper lanterns, wooden panels and colorful illustrations on the walls. Choose from two special sets in the restaurant: the Standard Set for a sample of refreshing seafood including crab miso, seafood skewers and fresh scallops, or the Upgrade Set for seafood, pork and chicken. Klook users will also get a reservation to the restaurant hassle-free by booking through Klook, which makes it a convenient stop after a day of exploring Osaka! 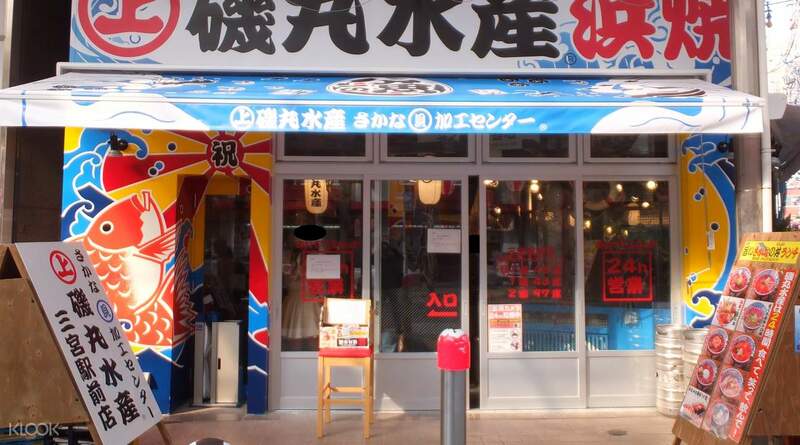 Dine hassle-free at Isomaru Suisan in Osaka by booking through Klook! Treat yourself to shrimp, sashimi and more! 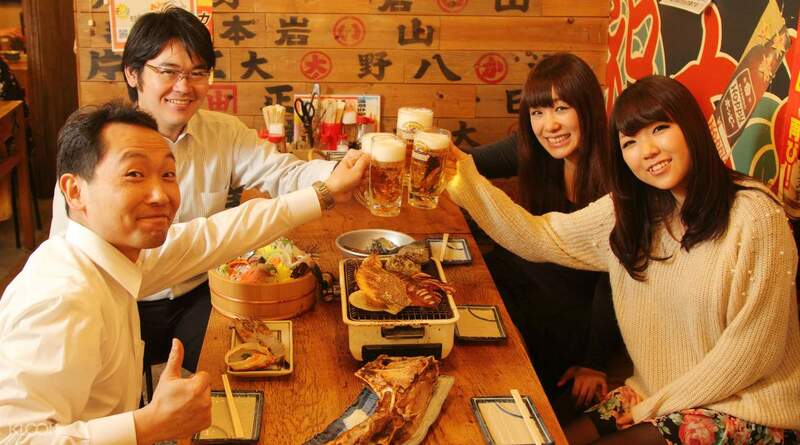 The restaurant's lively ambience makes it a great place for meals with friends and family! Good place to have dinner and what good about this place is they opens 24/7. Good place to have dinner and what good about this place is they opens 24/7. More than enough food for the two of us. Staff was friendly, and they cooked most of the food for us. And when we accidentally burnt our own food, they were kind enough to give us more. More than enough food for the two of us. Staff was friendly, and they cooked most of the food for us. And when we accidentally burnt our own food, they were kind enough to give us more. The shop staff cannot communicate well in English. We had several misconmunication. Seafood are fresh. The shop staff cannot communicate well in English. We had several misconmunication. Seafood are fresh. Good service and taste above averages! Good service and taste above averages!